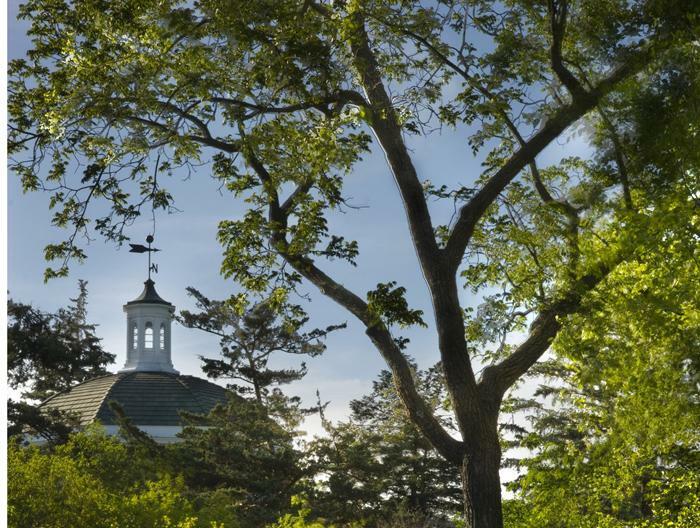 Dedication to improving the environment and quality of life on campus has earned Truman recognition as a Tree Campus USA school for the second consecutive year. Truman was recognized as a top producer of U.S. Fulbright students for the 2014-2015 academic year by “The Chronicle of Higher Education." Of Truman’s 19 Fulbright applicants, six were offered the award, which placed the University third nationally among master’s institutions. Truman tied with four other institutions across the U.S. Since its inception in 1946, the Fulbright Program has provided more than 300,000 participants, chosen for their academic merit and leadership potential, with the opportunity to study, teach and conduct research, exchange ideas and contribute to finding solutions to shared international concerns. The Fulbright competition is administered at Truman through Maria Di Stefano, associate provost and dean of graduate studies. For more information about the program or the application process visit iie.org. The complete Fulbright rankings for 2014-2015 can be found at chronicle.com. “Goin’ courting” has never been as much fun as in this rip-roaring stage version of the popular MGM movie. Set in Oregon in 1850, “Seven Brides for Seven Brothers” tells the story of Milly, a young bride living in the wilderness. Her plan to civilize and marry off her six rowdy brothers-in-law to ensure the success of her own marriage backfires when the brothers, in their enthusiasm, kidnap six women from a neighboring town to be their brides. 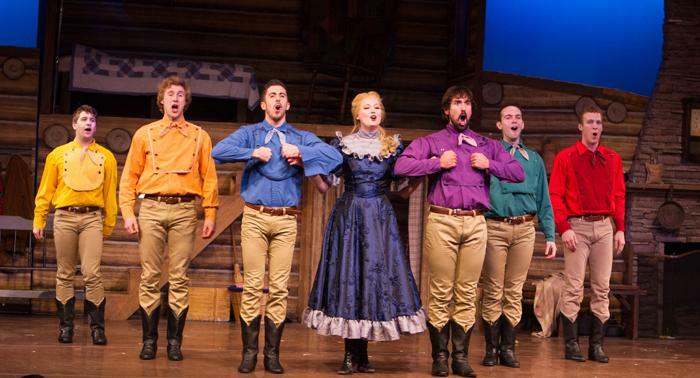 Bursting with the rambunctious energy of the original film, “Seven Brides for Seven Brothers” is all boisterous fun and romance that harkens back to the glory days of the movie musical. “Seven Brides for Seven Brothers” is produced by Prather Entertainment Group and is under the direction of Dean Sobon with choreography by Kerry Lambert. Tickets will be available starting Feb. 24. Students can pick up their free ticket by presenting a Truman ID at the Student Activities Board Box Office, located in the lower level of the Student Union Building. Faculty and staff can receive their free tickets by showing their Truman ID at the Information Center in the Student Union Building. General admission tickets cost $10. Advanced general admission tickets are no longer available. Any remaining tickets not used by students, faculty and staff will be sold at the event, starting at 7 p.m.
Truman’s 14 alumni currently serving in the Peace Corps have helped land a spot on the agency’s annual list of top schools. Since the creation of the Peace Corps in 1961, more than 200 Truman graduates have served as volunteers. The Peace Corps ranks its top volunteer-producing schools according to the size of the student body. This year, Truman’s 14 volunteers tied the school at No. 19 among Medium Colleges and Universities, classified as having enrollments between 5,000 and 15,000 students. Truman shared the No. 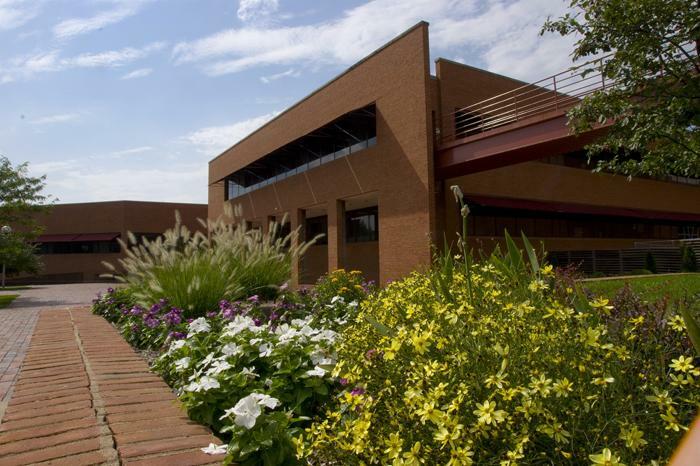 19 spot with four other schools, including Washington University in St. Louis, which was also the only other Missouri school to make the list in any of the three size-based categories. The entire Peace Corps Top Colleges 2015 rankings can be found online at files.peacecorps.gov. This is the third time overall that Truman has made the Peace Corps rankings. The University is also a partner in the Peace Corps Master’s International program, which now includes Truman’s Master of Arts in leadership. Individuals in the program typically complete one year of graduate coursework before beginning their Peace Corps assignments. The two-year Peace Corps appointment counts as the required internship experience and tuition is waived during their service. Later this spring, Truman will host a Peace Corps recruiter to discuss the agency and opportunities available. Starting at 10 a.m. April 1-2, there will be an information table in the Student Union Building, followed by an information session at 3 p.m. April 2 in the Student Union Building Alumni Room. The Peace Corps sends volunteers abroad to work at the grassroots level to develop sustainable solutions that address challenges in education, health, economic development, agriculture, environment and youth development. Through their service, volunteers gain a unique cultural understanding and a life-long commitment to service that positions them to succeed in today’s global economy. Since President John F. Kennedy established the Peace Corps in 1961, nearly 220,000 Americans of all ages have served in 140 countries worldwide. For more information, visit www.peacecorps.gov. 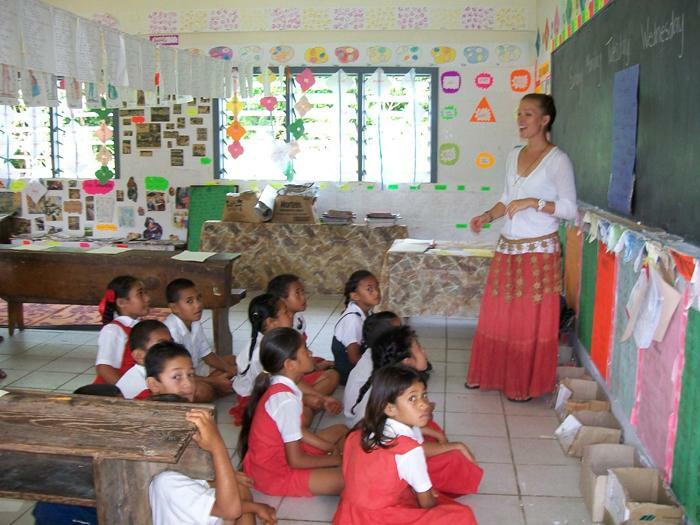 Nora Graves (’10) teaches children the days of the week during her time as an English education volunteer in Tonga. Derek Mallett ('97) will return to campus to deliver the annual Kohlenberg-Towne Lecture at 7 p.m. Feb. 26 in Baldwin Little Theater. 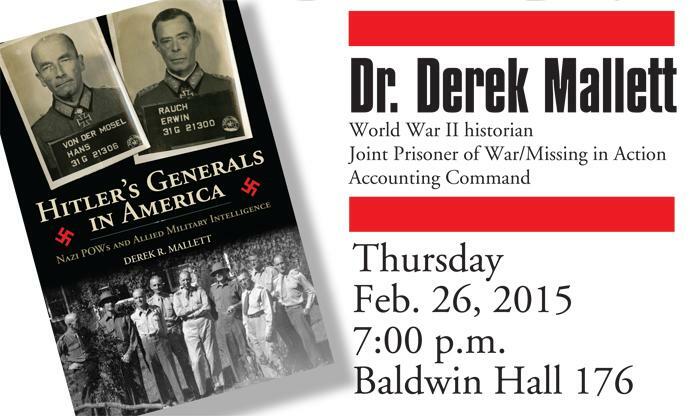 Mallett’s book, “Hitler’s Generals in America: Nazi POWs and Allied Military Intelligence,” tells the largely unknown story of German generals taken prisoner during World War II and held captive in the United States. He will discuss how the United States and Great Britain attempted to glean vital intelligence from them, about both Germany and the Soviet Union, an ally soon to become a rival. After earning a master’s degree in both history and education from Truman, Mallett received his Ph.D. in history from Texas A&M University. He spent three years as a historian for the Joint Prisoner of War/Missing in Action Accounting Command in Hawaii. He currently teaches military history for the U.S. Army Command and General Staff College at Fort Gordon, Ga.
Five peer reviewers from the Higher Learning Commission will be on campus March 2-3. The reviewers will be evaluating whether Truman meets the Commission’s criteria for accreditation. Several open forums will take place during the visit. Students, faculty and staff are highly encouraged to participate. The full schedule for the visit is available at vpaa.truman.edu. For more information contact Karen Vittengl. Truman’s forensic union (speech and debate team) had a successful weekend at the Missouri Association of Forensic Activities’ Championship Tournament Feb. 13-14, including winning third place overall. 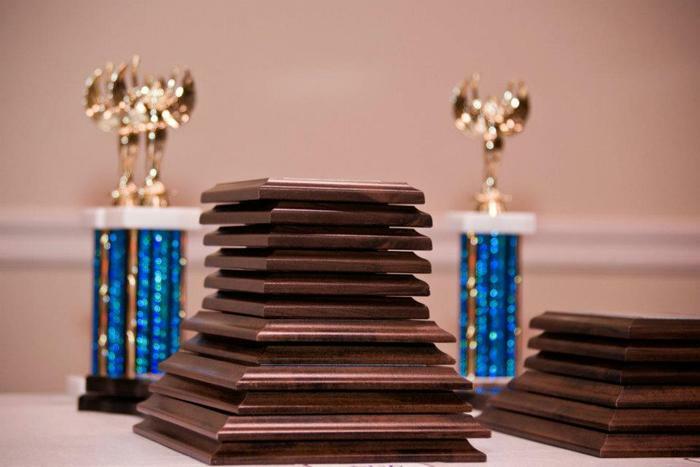 In addition to the overall title, the team took home two sweepstakes trophies, third place in debate, quite a few individual trophies and several state championships. These state titles include Connor Stewart, a freshman, who was named the 2015 Lincoln-Douglas State Champion. Additionally, Stewart and Collin O’Connell, a freshman, won the novice parliamentary debate final round, making them the 2015 co-state champions in that division. Stewart was also awarded best speaker in novice parliamentary while O’Connell was named third. In open parliamentary debate, Adrien Zambrano and Alec Hubbard, both sophomores, earned Excellence Awards for their winning record in preliminary rounds. Individual accolades include Sarah Muir and Dillon Laaker, juniors, who took third and second place, respectively, in extemporaneous speaking competition. Anson Long-Seabra, a sophomore, was named state champion in poetry interpretation and placed third in after-dinner speaking. Brian Kantanka, a freshman, was named top novice and state champion for his participation in dramatic interpretation. Truman forensics is now ready to set its sights on the national tournament. The team will travel to Athens, Ohio, to compete in the National Forensic Association Tournament this April. Participation in the forensics program is open to any Truman student in good standing, regardless of prior speech and debate experience. Students can learn how to get involved by visiting forensics.truman.edu or contact Christopher Outzen, director of individual events, or Kevin Minch, interim director of forensics. 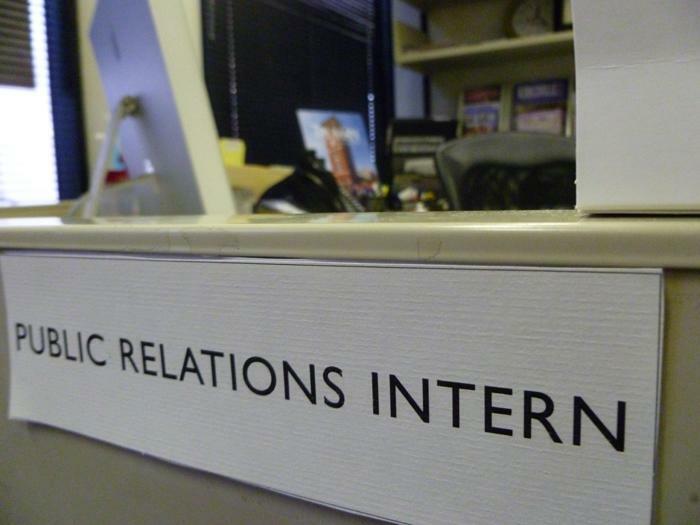 The Truman Public Relations Office is now accepting applications for the full-time fall 2015 internship position. 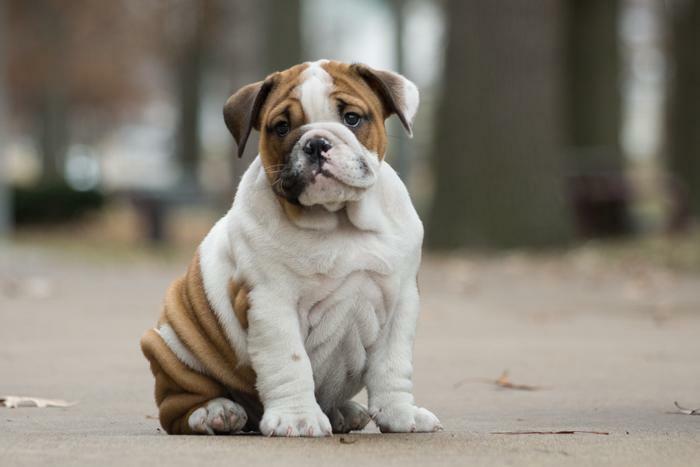 The public relations intern will be responsible for helping with production of the University's online newsletter, the Truman Today, and biannual alumni magazine, the Truman Review. The intern will also assist in planning special events throughout the semester, writing press releases and fulfilling other office tasks. To apply, send a resume, an advising transcript, two writing samples and contact information for two on-campus references to the Public Relations Office, McClain Hall 202, no later than March 6. For questions about the internship, contact Travis Miles at tmiles@truman.edu. Edge Hill University is offering a one-month summer program where students can earn six credit hours while living and learning at one of England’s top universities. The program runs from June 15 to July 13, and allows for students to study two areas of British culture while experiencing it first hand through excursions and weekend trips. For more information about this or other study abroad opportunities contact Truman’s Study Abroad Office. 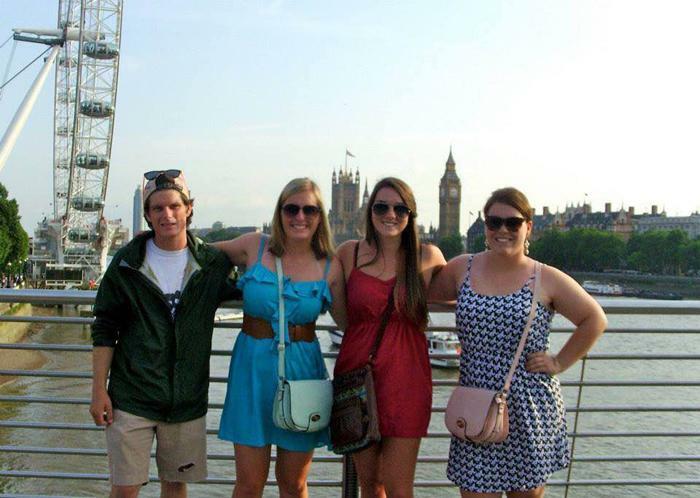 From left to right, Truman students Conner Katsev, Becca Rockamann, Emily Dalton and Rachael Rockamann on their summer study abroad in England. Students will have the opportunity to speak to other students who have studied abroad in different parts of the world. Study Abroad advisors will also be present to answer questions about the programs. For additional information please contact ciea@truman.edu. 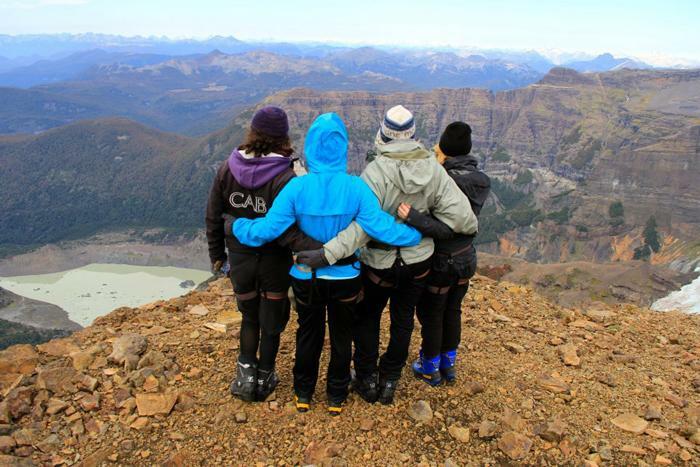 Study abroad students in the Andes mountains in South America. Joseph Mooney, chief financial officer (CFO) for Lodging Hospitality Management, will serve as the Spring 2015 Bentele/Mallinckrodt Executive in Residence. Mooney is the investor, leader, insurer of relationships and is responsible for the overall financial operations of the company and all its hotels, including establishing internal controls and measurements necessary for profitable and strategic top line growth. Mooney’s major accomplishments include initiating channel, product and program changes to increase sales by 300 percent. In addition, Mooney created process and product improvements to increase gross profit by 50 percent. Mooney serves on the board of the CA St. Louis and is a member of several community organizations, including Ronald McDonald House and St. Vincent de Paul. He also serves on the board of Gateway Region YMCA and the Treasury Board for Enterprise Bank. Mooney’s three children are all graduates of Truman. A panel of seniors will discuss stress management techniques and ways to unwind in a wellness event that will take place from 7-8 p.m. Feb. 25 in Violette Hall 1010. Refreshments will be provided. The Mostly Live Composers Society will host its spring showcase at 3:30 p.m. Feb. 24 in the Ophelia Parrish Performance Hall. This performance will feature live music composed and performed by students. The 50-minute event is free and open to all. Mirari Brass Quintet will be on campus Feb. 25 to host a master class and perform a concert. The master class, which is open to observers, will begin at 3:30 p.m. in Ophelia Parrish 2340 and feature three student groups. At 8 p.m. the quintet will perform a concert in Ophelia Parrish Performance Hall. Engaging and eclectic, the Mirari Brass Quintet brings a spirit of joyful collaboration and innovation to music spanning many centuries and genres. The commissioners of multiple new works for brass, the group performs a spectacular tightrope act, balancing intensity with levity and refined virtuosity with pure fun. The group is composed of five friends who joined together over a common belief in the intrinsic value of music in the world. The Upsilon Phi chapter of Phi Mu Alpha Sinfonia is sponsoring Mirari’s visit as part of their ongoing project to encourage chamber music performance and listening. This is the second such event; last year they brought the Prokofiev Ensemble, a chamber group composed of members of the St. Louis Symphony Orchestra, for master classes and a concert. In addition to the Upsilon Phi chapter of Phi Mu Alpha Sinfonia, this event is sponsored by the Department of Music and the School of Arts and Letters. Students are invited to learn more about study abroad and participate in the first-ever Virtual Study Abroad Fair, taking place Feb. 25. The fair, hosted by CollegeWeekLive, the Institute of International Education and the U.S. Department of State, is a unique opportunity for students across the United States to learn more about the benefits of study abroad, program options, potential host countries and funding opportunities for those experiences abroad. There is no cost to attend the fair and students can login between 12-8 p.m. Eastern Standard Time to watch live presentations and chat with representatives from all over the world, including program representatives from the U.S. Department of State. Watch live video presentations about study abroad topics, such as choosing a program, financing your study abroad experience, preparing for your study abroad experience and the value of studying abroad for careers and job prospects. Sessions focused on study abroad opportunities in specific countries or regions will also be featured. Students who visit at least five booths will be eligible to win one of the following prizes: $1,000 IIE travel prizes for study abroad (U.S students must be enrolled in an approved study abroad program by their institution to receive funds); $500 STA travel vouchers; $50 Amazon voucher. Learn more by visiting the Virtual Study Abroad Fair or contact studyabroad@iie.org. Truman students, faculty and staff are all invited to participate in TruFit, a free eight-week fitness challenge, beginning Feb. 23. Students wishing to compete should gather a team of 2-10 participants and choose a team captain and name. While registering, each team will set a physical activity goal in minutes per week. Throughout the week participants engage in physical activity of their choice to accumulate minutes towards their goal as their teammates support and encourage them. Teams will compete to see who can accumulate the most minutes over the eight-week challenge. The deadline for teams to sign up is March 1. TruFit is sponsored by The President’s Committee for Campus Wellbeing and the Student Recreation Center. Sodexo Netherlands chef Hilko Van Eeden will visit Truman as part of the 2014-2015 Global Chef Program. The Global Chef Program is a month-long international chef residency that provides an opportunity for Sodexo’s top chefs worldwide to travel to different countries and share authentic international cuisine with local teams, students, faculty and staff. This program, which allows students to sample a slice of another culture while also exposing the local culinary staff to new techniques and flavors, is a great example of how Sodexo leverages its presence in 80 countries across the globe to benefit the entire campus community. Eeden will prepare classic dishes from Netherlands and will provide active demonstrations of meal preparation that involve the students, so that there will be ample opportunity to interact with him and experience firsthand the cultural and educational benefits of his visit on campus. Stop by the Sodexo business office to purchase your tickets. Or join us in one of the dining halls or Mainstreet, March 3. 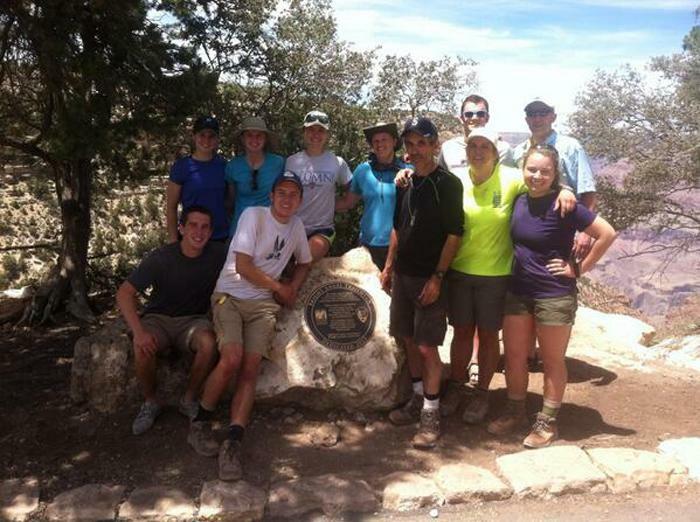 Mainstreet – 11 a.m.-1:30 p.m.
Centennial Hall – 4:30- 5 p.m.
Missouri Hall – 5:15- 5:45 p.m.
Ryle Hall – 6-6:30 p.m.
An informational meeting about the 2015 TruAdventure trip will take place at 7:30 p.m. March 3 in Pershing Building 232. Two trips will be offered this year, including a backpacking trip to Grand Canyon National Park from May 27 to June 2, and a five-day canoe and camping trip to the Boundary Waters Canoe Area of Minnesota July 22 to July 26. Due to changes in the permits obtained, the hiking trip has been moved to a different and more primitive area of the canyon that will allow participants to truly enjoy the beauty and solitude the Grand Canyon can offer. The meeting will discuss the change and outline the new itinerary. Costs and requirements for both trips will be discussed, as well as how to register for the trips. Scholarships are available for current Truman students and the application process will be outlined in the meeting. There are only three remaining spots for the Grand Canyon trip, so interested students are highly encouraged to attend the meeting. For more information please contact Jennifer Hurst at jhurt@truman.edu. Truman students are encouraged to attend the week of events, as they will offer insight on many diversity topics important on campus. For further event information, contact Diversity Committee chair Zach Hollstrom or committee member Jessie Poole. 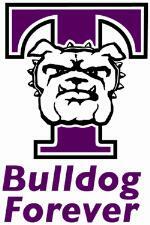 Truman Student Government is a group of elected and appointed students who work to improve the environment at Truman State University. For more information, visit senate.truman.edu. A informational meeting for the Art of Living Happiness Program, a four-day intensive yoga, breathing and meditation course, will take place 7 p.m. Feb. 24 in McClain 208. The program will take place Feb. 27-March 2 and will teach practical and powerful yogic tools for removing stress and discovering ones full potential to be happy. For more information visit artofliving.org or contact Lloyd Plfueger at 660.785.4056. The Environmental Studies Committee is looking for students to present during their conference this April. 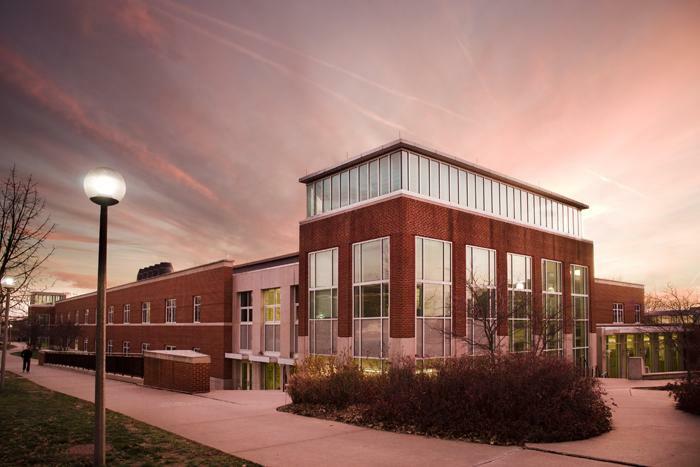 The goal of the conference is to help raise awareness about the many sustainability and environmentally related projects that are currently taking place on campus, in Kirksville, and in surrounding communities. Undergraduate students, graduate students and professors are invited to present research projects, slam poetry or other initiatives. Topics can include, but are not limited to, applications of life and physical sciences, sustainability projects at Truman and in the surrounding communities, philosophy of environmentalism, environmental aspects of global health, and environmental connection to art and literature. Additionally, artists and photographers are invited to create art in any media inspired by any aspect of the environment to be displayed at the conference. Students who are interested in presenting at the Environmental Studies Conference can submit abstracts for oral and poster presentations to Alex Hromockyi or Alison Robson. The conference will take place April 11 and will be free for those who wish to attend. Students are invited to participate in the Iowa Alumni Chapter’s networking event. This free and informal event will take place at Chocolaterie Stam in Des Moines. Chocolates, light hors d’oeuvres, coffee and tea will be provided. Those interested in attending can RSVP by March 6 to Cindy Spiker at iowaalumni@truman.edu. The Multicultural Affairs Center is looking for students to serve as Scholastic Enhancement Experience counselors for the August interim. SEE Counselors are responsible for helping first-year students transition from high school to life at Truman. They spend two weeks in August teaching incoming freshman about Truman and its multitude of resources as well as creating lasting friendships between them. Applications are available at trupositions.truman.edu and are due by 5 p.m. March 16. For more information contact Emmanuel Camarillo at emmanuelc@truman.edu. The School of Business is now accepting applications for academic peer mentor scholarship positions for the 2015-2016 academic year. 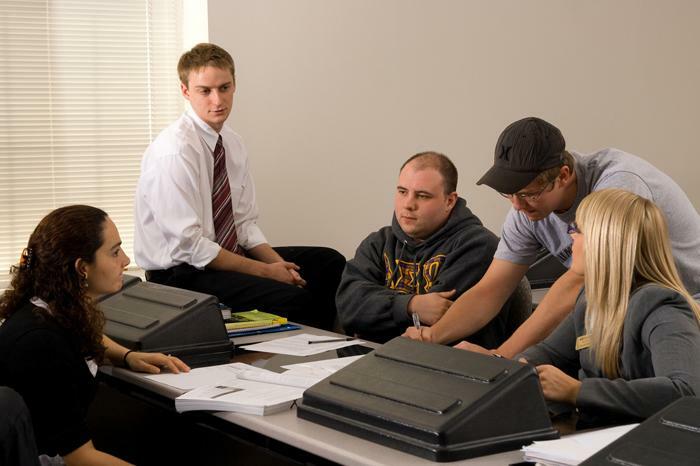 Academic peer mentors support the professional and faculty advising staff by providing an academic outreach program to first-year business and accounting students. These positions are limited to school of business majors who will be at junior or senior status in the 2015-2016 academic year. Position descriptions, applications and recommendation forms can be obtained at the Business Academic Advising Center located in Violette Hall 2413. Applications are due March 18. For more information contact Billi Gordy, business academic adviser. The Missouri State Archives will host a free daylong digitization workshop at 10 a.m. March 27 in Student Union Building Georgian Room A. 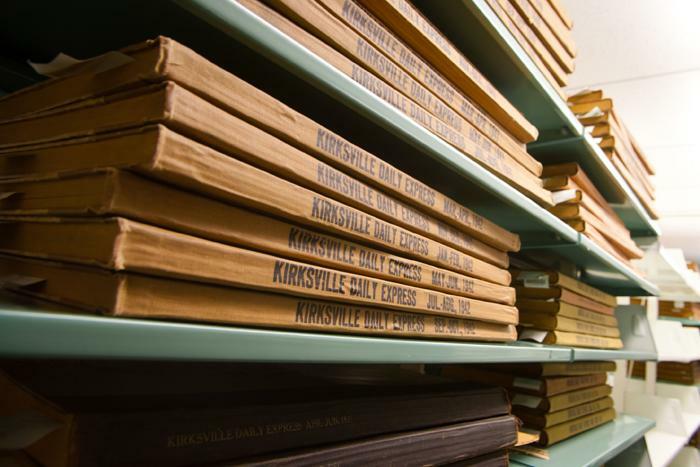 This workshop aims to help small historical institutions create digital archives of their records. This initiative is made possible through the State and National Archival Partnership Grant that funds this workshop and additional workshops across Missouri. To register, contact Brian Rogers at 573.526.1981. 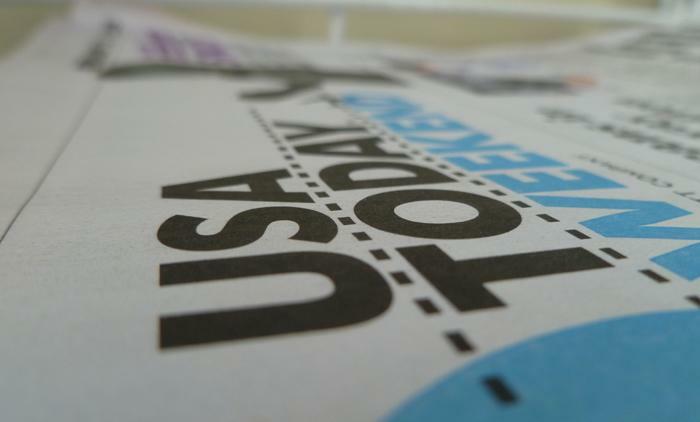 USA Today will be accepting applications for 2015 collegiate correspondents to report from their campus this summer from March 15 until March 30. The collegiate correspondent program offers students a unique chance to hone their writing skills while writing for a major publication. Students will also gain experience writing for large audiences and working under strict deadlines. Responsibilities of the collegiate correspondent include producing one news story weekly, quick communication with USA Today staff and remaining current on world events. In addition to a stipend, participating students gain mentorship from USA Today editorial staff, the opportunity to publish their work on USA Today’s college site and possibly have their work published to USA Today website. 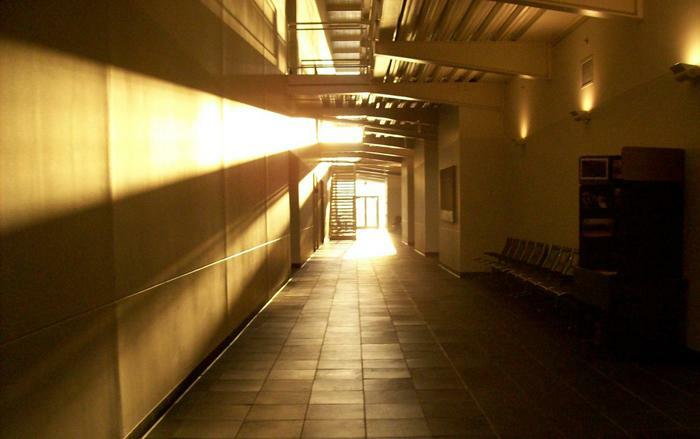 A strong applicant is motivated and passionate about bringing engaging stories to readers. Students can learn more or apply here. Applications are now available for semester long program where students can earn 12 credit hours while teaching English in Guangdong Province, China. Applications are due by April 30. For more information contact Timothy Farley. Truman student Michael Fentress took this picture of Shanghai Habor while participating in the internship. The Quincy Symphony Chorus presents an evening of island fun. This relaxed concert features steel drums and calypso music for a Caribbean feel. Free to all faculty, staff and students with a college ID. Located at Salem Church, 435 S. 9th St., Quincy, Ill. Tickets are $18 for adults, $15 for seniors and free for youth 18 and under. Visit qsoa.org for more information. The Account Control Technology (ACT) Foundation is taking applications for their Second-Year Scholarship Program for Fall 2015. This scholarship is designed for first-year students who will be enrolled as college sophomores in the Fall of 2015. The Foundation will award 25 scholarships, each worth $1,000, in 2015 through the program to qualifying students at four-year colleges and universities nationwide. Guidelines and the application itself are available for download from the Account Control Technology Foundation’s website. Applications are due by March 15. 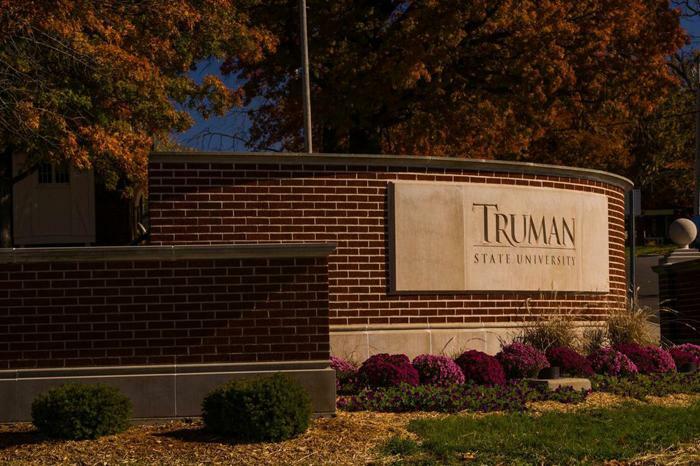 Truman State University Foundation scholarship applications for Truman students in 2015-2016 are available now. This is the largest Foundation scholarship application period of the year. Applications are due by midnight, March 17. To apply, log into TruView and go to the Student tab, Student Finances channel. These scholarships are available thanks to the generosity of alumni and friends of Truman State University. The Jack J. Isgur Foundation Scholarship applications are available to students aspiring to teach the humanities. The foundation promotes the humanities in the education field by awarding scholarships for students who aspire to teach literature, the fine arts, music, art, poetry and dance. Scholarships are available to junior and senior levels of undergraduates, as well as graduate students. For more information or to obtain an application for this scholarship, visit the foundation’s website. Applications are due by May 15.